LOGIX is the leading Insulated Concrete Form system in North America. With a superior R-value of up to R 28 built into its DNA, LOGIX helps you create an airtight building envelope today for the quality of thermal performance that will be expected tomorrow. Logix ICFs have turned simplicity into a science. Its straightforward assembly, while its design flexibility is an architect's dream. Most people with framing experience like the product. See for yourself – there really is much more than meets the eye as far a durability and insulation factor. 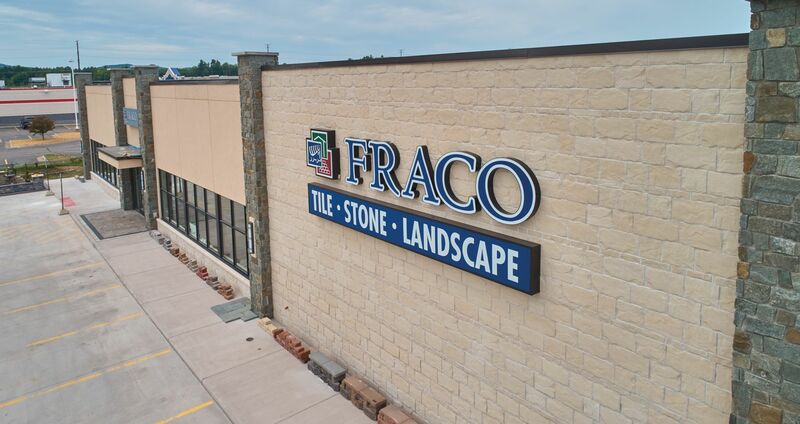 Contact our professionals for pricing and product availability, or simply stop by and take a tour of our fully stocked showroom. Two thick, continuous Logix Pro foam panels envelope the home or building to provide an effective wall assembly R-Value of R-25. Build walls with a steel-reinforced concrete core from 4" to 12" thick. The Logix wall assembly delivers up to 60% lower air infiltration than a traditionally built wall. The Logix concrete core also provides a 5-day thermal lag. The thermal performance of the home is enhanced yet again. The foam in LOGIX walls provides a thermal resistance rating of R-24. This exceptionally high R-value, along with high thermal mass and reduced air infiltration, allow LOGIX walls to deliver significantly higher performance levels. LOGIX buildings are up to 8.5 times stronger than conventionally framed buildings. As a result, LOGIX walls are much better able to withstand severe weather such as hurricanes and tornados. LOGIX walls have a 3-hour fire rating as opposed to 15 minutes for a comparable wood framed wall. LOGIX walls offer you a quieter, more tranquil interior environment. A LOGIX wall can easily achieve a sound transmission classification of STC 50, which is twice as high as a typical wood-framed wall. Loud noises outside a LOGIX building will be reduced to a whisper inside the building. 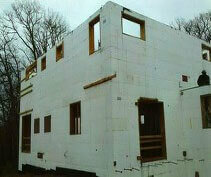 ICF walls don't need an extra vapor barrier. For below-grade applications, LOGIX provides a waterproofing system that ensures a comfortably dry basement. Improved air quality is another benefit as LOGIX eliminates the studs and cavities that can hold moisture and foster mold and mildew growth. Buildings constructed with LOGIX are designed to last for centuries, not decades. 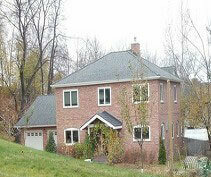 LOGIX ICF walls conserve precious natural forest resources and their energy efficiency reduces fuel consumption. The use of LOGIX promotes sustainable, green building practices, and is an investment in the future. 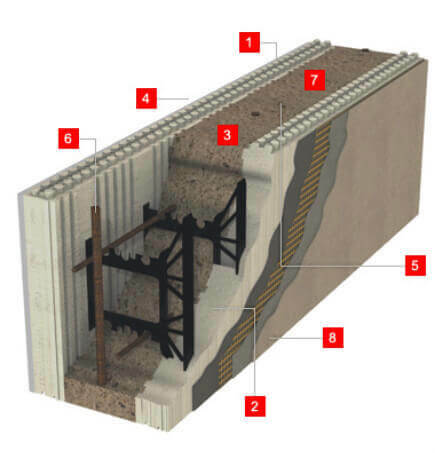 Introducing LOGIX™ Insulated Concrete Forms. Based on the simple concept of interlocking blocks, LOGIX ICF gives you a wall system that's not only long-lasting, but also quick to build, sound-proofed, energy-efficient and has a 3-hour fire resistance rating. Engineered for superior performance, LOGIX gives you more wall for your money. LOGIX is owned by five ICF manufacturers that operate across North America. Backed by over 50 years of manufacturing experience, LOGIX offers the features most valued by the industry and the consumer. Where LOGIX really outshines the others is in its service. Unlike many ICF suppliers, LOGIX treats each sale as the beginning, not the end, of the relationship. We're with you every step of the way, offering invaluable advice on design and installation, backed by reliable technical support. Our technical staff is trained to respond to your queries with practical advice on quick and efficient installation. We provide comprehensive contractor training through our numerous regional technical-support offices. We are committed to providing quality, cost-effective building solutions. For homeowners looking to save time and money. LOGIX is the ideal solution for several reasons - better insulation, quicker delivery and installation, and the relative ease of finding contractors with expertise in using LOGIX forms. 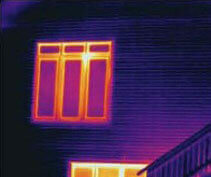 Thermal imaging of exterior framed wall showing heat escaping through the studs. Studs act as a thermal bridge through which heat can pass through the wall increasing heating and cooling loads. 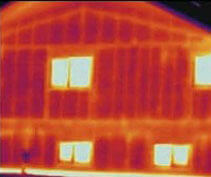 Thermal image of exterior LOGIX wall showing no heat escape through the wall. Continuous thick insulation with a solid concrete core wall prevents thermal bridging and heat escape through the LOGIX walls. Finished ICF faced with brick. This house has ICF from the basement to the 2nd floor.